You say hallelujah, I say alleluia; let’s NOT call the whole thing off! We fasted from the word alleluia during Lent. In Easter, we feast; our worship is full of alleluias! Or is it hallelujahs? Someone recently asked me: why two different spellings of the word? 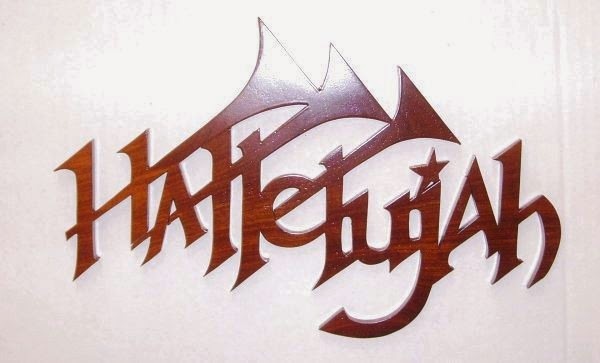 The word hallelujah translates from Hebrew to ‘Praise the Lord!’ It is a plural imperative of the verb hālal, ‘praise,’ with the object yāh, (an abbreviated form of YWWH, the Hebrew word for the God of Israel, which is never pronounced by Jews.) It is used in both Jewish and Christian liturgies to this day. So why the two spellings? When we are reading from the Old Testament or singing the psalms, we use hallelujah, because the Old Testament, including the Psalms, is in Hebrew, and our English translation retains the consonants as closely as possible. 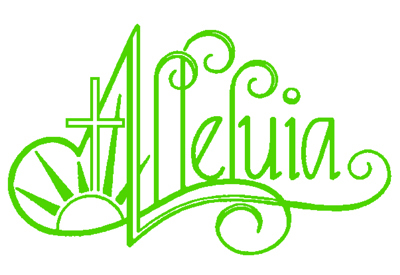 The word alleluia is a Greek/Latin transliteration of hallelujah. So when we sing the word in the liturgy, we use alleluia, because our liturgy is a revision of the Latin Mass, which uses the spelling alleluia. Hymns can use either hallelujah or alleluia. It would be interesting to go through hymns and see which ones use which and try to explain the reasons why, but that would be too much detail and I don’t have time. Whatever way you spell it, praise the Lord! Hallelujah! Eastern Catholics and the Orthodox don’t fast from the alleluia in Lent. Eerdman’s Dictionary of the Bible, ed. David Noel Freedman, p. 543.